He is a soft-spoken gentleman nurtured with good values. Hard work, ambition and a zeal to achieve success have always been his assets in all spheres of life. He manages to strike a perfect balance between personal and professional life. During leisure, he enjoys reading, watching movies, listening to music and swimming. He is born in Khammam, Telangana and raised in Vijayawada, Andhra Pradesh. He completed B.Tech. in Electronics and Communication Engineering from RMK Engineering College, Chennai and is pursuing Post Graduate Diploma in Actuarial Science from IIRM. He is employed as a Director of Samagra Agri Business Services Pvt Ltd.  He has applied for six patents and is also a member in Cold Chain Department of Central Government. He has formed his new start up company, which is yet to begin. It will mainly deal with software and mobile apps , where he could extend his innovation and he is also planning to develop a few... more innovative modules in skill development programs and also currently in the process of applying PR to CANADA. Ours is a close-knit family. My husband is served as a Ex-Director of National Horticulture Board, Government of India,Ex-Manager,SBI,Currently Director-Samagra and I am a homemaker. Our daughter is happily married and working in USA. It gives me great pleasure to see my children flourish in their careers while leading fulfilling personal lives. We are ready to welcome a daughter who understands the essence of marriage and will bind our family together. A dynamic and creative bride who can look after our private company and whose personality resonates with my son will be an ideal match. We believe in horoscope matching. We come from an upper middle class, nuclear family with moderate values. Our family lives in Hyderabad. His father is a working professional while his mother is a homemaker. He has one sister, who is married.